Tarun has operating experience across a variety of functional areas including strategy, operations, marketing, business development and product management. 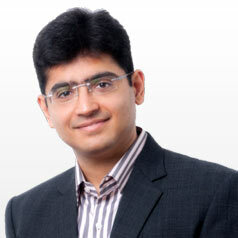 Prior to joining Matrix, Tarun was the India Country Manager and Board Member at StepOut.com, a venture-backed startup. Under his leadership, StepOut became India's #1 online dating site with over 4 Million users. Before that, Tarun established BigRock.com (incubated by the Directi group) - India's #1 provider of domain name registration and other web services. Tarun is an MBA from the Indian School of Business (ISB), Hyderabad and an Engineer from VJTI, Bombay. He likes to read, spend time with his friends, sketch and occasionally enjoys a game of table-tennis.